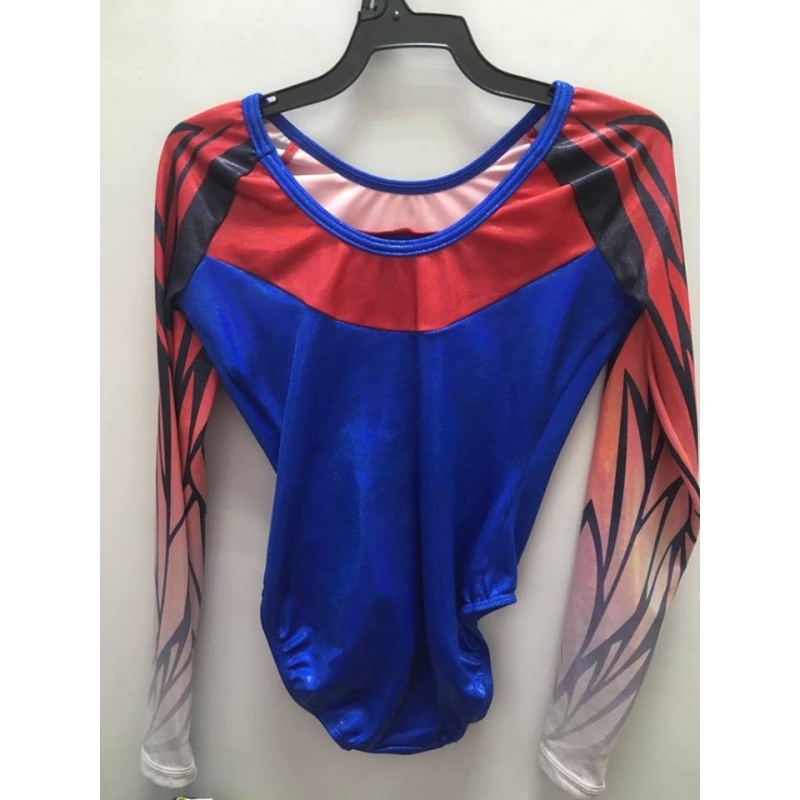 Innovative scoop back gymnastics competition leotard features an engineered sublimation faux crackle sleeve design and classic bodice silhouette. 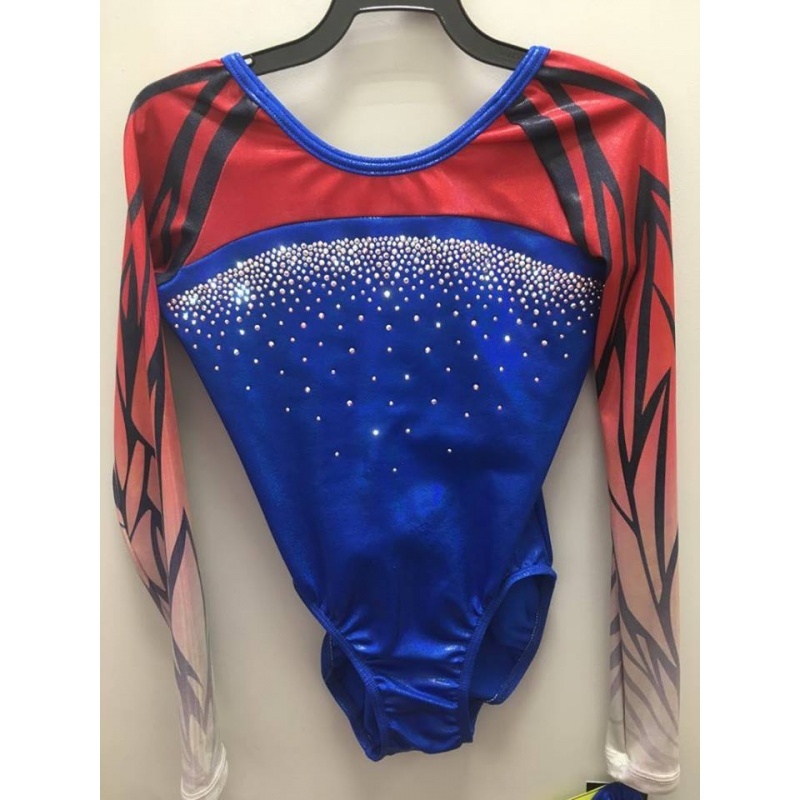 Choose one of three fabric configurations, then select your colors to design a GK Engineered Sublimated Competitive Gymnastics Leotard with your own custom look. Add your team name or logo in your choice of jewels, sequinz™, embroidery or imprinting. 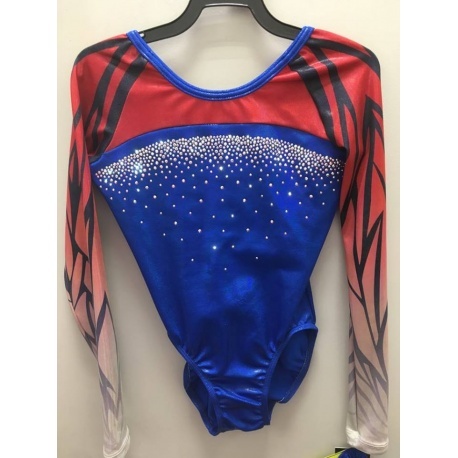 A01 shown here in berry opalescence hologram, black mystique, and sublimated white, berry, and black on holotek. Options Shown: J14, J1170, and T1213 in brilliance Swarovski®crystals. A02 shown here in navy mystique and sublimated turquoise, royal, and sapphire on white mesh. Options Shown: shadowproof lining under area A (boidce only), J14, J1170, T1214, and custom jewels in clear Swarovski® crystals.